Research data publishing is today widely regarded as crucial for reproducibility and proper assessment of scientific results. Data-Literature Interlinking Service (DLI) - implemented under the umbrella of the RDA Data Publishing Services Working Group - is attempting to tackle this issue by providing links between the published literature and datasets. The DLI Service was presented during the Data Publishing side event, before the 7th Research Data Alliance (RDA) Plenary meeting, on 29 February, 2016, at the University of Tokyo. Current solutions for research data publishing are mostly based on bilateral, ad-hoc agreements between publishers and data centers, operating in silos whose content cannot be promptly combined to deliver a network connecting research data and literature. The question is: How to move from a plethora of (mostly) bilateral arrangements to a one-for-all service model infrastructure for the research data publication landscape? Developing links between the published literature and datasets is one of the ‘solutions in vogue’. The RDA Data Publishing Services Working Group (DPS-WG) aims to tackle this issue by bringing together different stakeholders to reach assent on common standards and to move from a plethora of (mostly) bilateral arrangements to a common “one-for-all” service model infrastructure: a universal, open service Data-Literature Interlinking (DLI) Service for collecting, combining and sharing links from different sources. 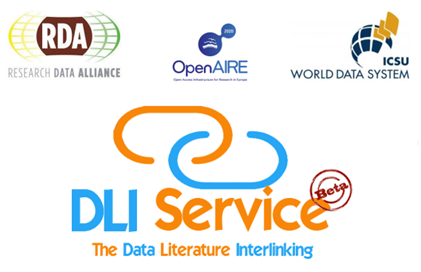 The implementation and operation of an one-for-all cross-referencing DLI service for the links between data and publications is the result of a cooperation among major publishers, data centers, and research/academic institutions and projects under the umbrella of the RDA DPS-WG (Case Statement). The DLI service is co-funded by the EU projects RDA Europe, OpenAIRE2020 and ICSU World Data System. The 1st stage of the demonstrator DLI service (powered by OpenAIRE D-NET Software Toolkit and PANGAEA) is already available. This 1st stage has been developed by the OpenAIRE2020 project and it establishes the underlying infrastructure for: harvesting descriptions of data-publication links from partners; normalizing and aggregating that information; establishing quality and links across the whole corpus; providing a preliminary set of view, query, and harvest interfaces. 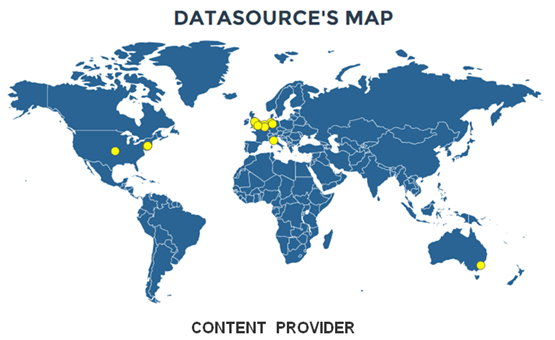 The DLI service populates and provides access to a graph of dataset-literature/publications links collected from a variety of major data centers, publishers, and research organizations. At the moment of writing, the DLI service has 7+million links, 12+million objects, 300+thousand publications, 800+thousand datasets with further contributions expected. 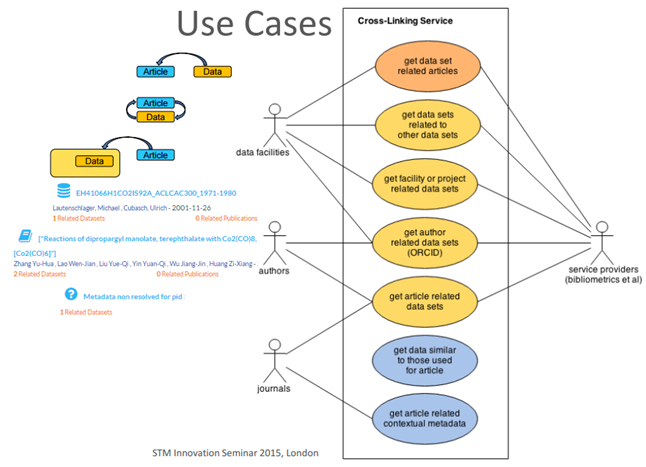 The DLI service is focused on the three classes of actors: end-users, third-party service developers and content providers offering them, respectively, the following facilities: (1) searching and browsing the graph of links via the DLI Service portal; (2) accessing publications and datasets in the graph and (3) feeding high-quality authoritative links between publications and datasets or between datasets to the DLI service via programmatic APIs. Currently each application is processed independently with bilateral agreements; formal data acquisition policies, service-level agreements (SLAs), and data provider registration procedures will be produced at a later stage. In parallel to the systems development the PDS-WG is also starting to consider a broader framework of standards, quality, and coordination. Based on feedback from content providers and consumers, PDS-WG will continue to refine the DLI service data model and exchange format to make it a universal, cross-platform, cross-discipline solution for collecting and sharing dataset-literature links. How would you use the DLI service? To inform optimization of the query and access interfaces, further detail is now sought on end-user scenarios. Why not make sure this system is designed for your data publishing and cross-referencing needs? You can be part of the RDA/WDS Publishing Data Services group by simply contacting it and providing a file with the publication-data links from your system! Members of the RDA/WDS Publishing Data Services group can start new topics in the forum by using the 'New Topic' button, or by sending an email to data-pub-services@icsu-wds.org. 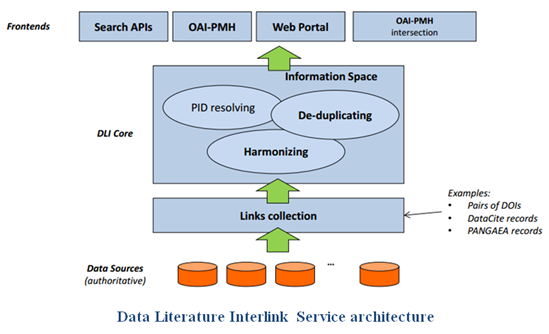 DLI Service: The Data Literature Interlink (portal). On Bridging Data Centers and Publishers: the DataLiterature Interlinking Service (post print, Springer International Publishing, 2015) . RDA-WDS Publishing Data Interest Group (shared files).